Mayor Jerry Sanders is in Washington, D.C. this week, stressing the importance of local issues to the federal government. The mayor flew out of San Diego Sunday morning and attended several meetings upon arriving. Mayor Sanders is one of eight mayors chosen to discuss infrastructure priorities with Secretary of Transportation Ray LaHood. 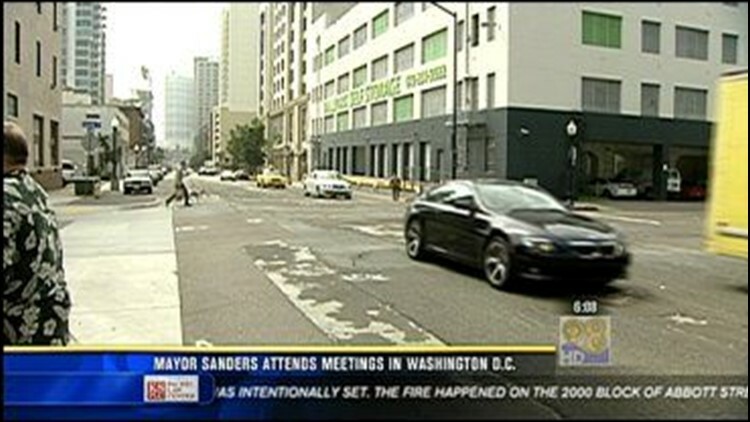 The mayor is also expected to meet with the Office of Urban Affairs and the Department of Homeland Security. Mayor Sanders is scheduled to return to San Diego late Monday night.